Although tooth decay is largely preventable, the use of preventive oral health services, such as fluoride treatments and oral exams, is woefully inadequate among children across the country. Studies suggest that low-income and immigrant/refugee children are the least likely to access preventive oral health services. How many Medicaid-Enrolled Children in Pennsylvania receive Preventive Dental Care? The use of preventive dental care among Medicaid-enrolled, US-born children in Pennsylvania increased from 2005 to 2010. This project aims to identify strategies to increase the use of preventive oral health care services among children in immigrant families, particularly those in low-income families. We do so by using detailed state Medicaid data to identify Pennsylvania communities where these children have adequate access to preventive oral health care. Then, we will identify best practices that have made these areas so successful as compared to the state as a whole. Our interests lie in examining health care processes, systems and programs that have led to these local successes. From our findings, we seek to improve policies and programs at the hospital, local, state and federal levels to ensure all children and adolescents have access to high-quality dental care. Next, we hope to identify best practices that have made some groups of children so successful compared to others groups of children in Pennsylvania. In addition to research focusing on race/ethnicity and parental nativity, we plan to examine differences between regions of the state. We will then specifically look at healthcare processes, systems, and programs that have led to these local successes. From our findings, we hope to help identify, disseminate, and implement highly effective solutions to promote preventive oral healthcare use among all Medicaid-enrolled children in the state. The Children's Hospital of Philadelphia, PolicyLab. 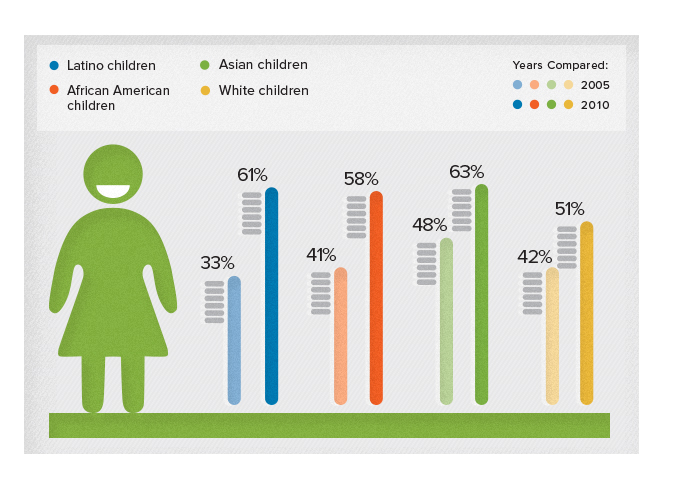 Increasing Oral Health Care Services for Medicaid-Enrolled Children [Online]. Available at: http://www.policylab.chop.edu [Accessed: plug in date accessed here].